Visit Any of Our 24 Phoenix and Tucson Metro Area Cash Time Loan Centers For On-the-Spot Approval and Funding. *Don’t live in Arizona? No problem! Apply, Get Approved, and Get Funded 100% Online. A little short on cash? Have bills you need to pay? Just want a little help? Let the experts at Cash Time help! We offer a wide variety of loans, including personal, cash, online, title loans and more that will fit any time frame, budget and need. For example, need help paying off your new car? Cash Time offers loans for individuals that are still paying for their vehicle. These registration loans are fast and easy cash loans ranging from $200 to $4,000(average loan amount is $400). Personal Loans are an excellent option when you need an immediate cash loan and do not have the luxury of time to deal with a bank or credit union. If you own a car, but don’t have a free and clear title, ask us about our loan offerings. Also, see if you qualify for our loans with no balloon payment! We also provide a wide variety of Title Loan solutions for your Car, Truck, Motorcycle, or RV. 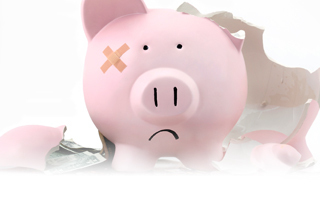 Bad credit or no credit isn’t a problem when getting a fast and easy personal loan from Cash Time. Amounts can range from $200to $100,000 based on your application and vehicle value. Best of all, you still get to keep and drive your car while you pay it off! We have no year or mileage limits. Get the cash you need on the spot. 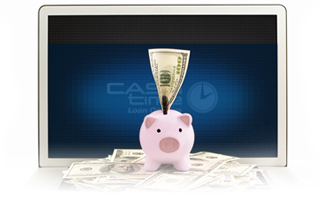 California residents can now receive installment loans 100% online from Cash Time Loan Centers. We offer installment loans from $2600 to $5000 throughout the entire state of California with no vehicle required. A Loan Transfer to Cash Time is the perfect way to consolidate existing cash loans from other lenders. If you already have a loan of any type, including personal or registration loans, a Loan Transfer to Cash Time Loan Centers can reduce your payments, lower your interest, and save you money on your personal loan. Questions? Give us a call today and get the money you need! Whether you have a Title Loan in Phoenix, a Personal Loan in Phoenix, , Installment Loan in California, a Title Loan in Tucson or a Personal Loan in Tucson, Cash Time recognizes the need to provide fast and easy cash loans in Arizona and California. We can structure your cash loan as either fully amortized or with interest only payments (for some Arizona loans). Cash Time will help you customize the perfect cash loan for you. You will receive On-the-spot approval and funding for your Title Loan in Arizona, your Arizona Personal Loan or your Installment Loan in California. Why wait for hours or days for your cash loan. Our on-site and on-call underwriters will qualify you for your Personal Loan or Title Loan within minutes. 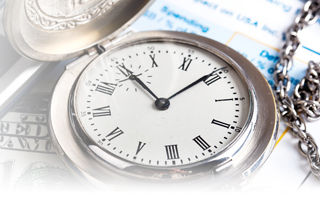 Cash Time Loan Centers has 24 locations throughout the Phoenix and Tucson metro areas. We are open 7 days a week, with customer service available 24 hours a day. We also offer 100% online loans to residents of Arizona and California. Arizona:Phoenix, Scottsdale, Tucson, Mesa, Tempe, Glendale, Chandler, Flagstaff, Peoria, Gilbert, Sedona, Prescott, Yuma, Surprise, Goodyear, Avondale, Queen Creek, San Tan Valley, Florence, Kingman, Casa Grande, Lake Havasu City, Sierra Vista, Tombstone, Payson, Bullhead City, Nogales, Bisbee, Jerome, Williams, Douglas, Page, Fort Huachuca, Winslow, Buckeye, Maricopa, Oro Valley, Prescott Valley, Apache Junction, Marana, El Mirage, Kingman, Queen Creek, San Luis, Sahuarita, Fountain Hills, Eloy, Somerton, Paradise Valley, Coolidge, Cottonwood, Camp Verde, Chino Valley, Show Low, Safford, Tolleson, Wickenburg, Youngtown, South Tucson, Guadalupe, Litchfield Park, Benson, Holbrook, Cave Creek, Eagar, Thatcher, Colorado City, Pinetop-Lakeside, Taylor, Clarkdale, Dewey-Humbolt, Willcox, Quartzsite, St. Johns, Carefree, Clifton, Parker, Wellton, Superior, Pima, Star Valley, Springerville, Kearny, Gila Bend, Miami, Mammoth, Fredonia, Patagonia, Duncan, Hayden, Winkelman, Tusayan, and Globe. California:Cash Time now services the entire state of California with our 100% online installment loans. We serve residents in Los Angeles, San Diego, San Jose, San Francisco, Fresno, Sacramento, Long Beach, Oakland, Bakersfield, Anaheim, Santa Ana, Riverside, Stockton, Chula Vista, Fremont, Irvine, San Bernardino, Modesto, Oxnard, Fontana, Moreno Valley, Glendale, Huntington Beach, Santa Clarita, Garden Grove, Santa Rosa, Oceanside, Rancho Cucamonga, Ontario, Lancaster, Elk Grove, Palmdale, Corona, Salinas, Pomona, Torrance, Hayward, Escondido, Sunnyvale, Pasadena, Fullerton, Orange, Thousand Oaks, Visalia, Simi Valley, Concord, Roseville, Santa Clara, Vallejo, Victorville, El Monte, Berkeley, Downey, Costa Mesa, Inglewood, Ventura, West Covina, Norwalk, Carlsbad, Fairfield, Richmond, Murrieta, Burbank, Antioch, Daly City, Temecula, Santa Maria, El Cajon, Rialto, San Mateo, Compton, Clovis, Jurupa Valley, South Gate, Vista, Mission Viejo, Vacaville, Carson, Hesperia, Redding, Santa Monica, Westminster, Santa Barbara, Chico, Whittier, Newport Beach, San Leandro, Hawthorne, San Marcos, Citrus Heights, Alhambra, Tracy, Livermore, Buena Park, Lakewood, Merced, Hemet, Chino, Menifee, Lake Forest, Napa, Redwood City, Bellflower, Indio, Tustin, Baldwin Park, Chino Hills, Mountain View, Alameda, Upland, Folsom, San Ramon, Pleasanton, Lynwood, Union City, Apple Valley, Redlands, Turlock, Perris, Manteca, Milpitas, Redondo Beach, Davis, Camarillo, Yuba City, Rancho Cordova, Palo Alto, Yorba Linda, Walnut Creek, South San Francisco, San Clemente, Pittsburg, Laguna Niguel, Pico Rivera, Montebello, Lodi, Madera, Monterey Park, La Habra, Santa Cruz, Encinitas, Tulare, Gardena, National City, Cupertino, Huntington Park, Petaluma, San Rafael, La Mesa, Rocklin, Arcadia, Diamond Bar, Woodland, Fountain Valley, Porterville, Paramount, Hanford, Rosemead, Eastvale, Santee, Highland, Delano, Colton, Novato, Lake Elsinore, Brentwood, Yucaipa, Cathedral City, Watsonville, Placentia, Glendora, Cerritos, Gilroy, West Sacramento, La Mirada, Palm Desert, Rancho Santa Margarita, Aliso Viejo, Poway, Cypress, Covina, Azusa, Dublin, Ceres, San Luis Obispo, Palm Springs, San Jacinto, Lincoln, El Centro, Newark, Lompoc, Bell Gardens, Danville, Rancho Palos Verdes, San Bruno, Rohnert Park, Coachella, La Puente, San Gabriel, Campbell, Brea, Culver City, Calexico, Stanton, Morgan Hill, LaQuinta, Pacifica, Beaumont, Montclair, Monrovia, Los Banos, Martinez, Temple City, Bell, Oakley, Manhattan Beach, Hollister, Claremont, San Juan Capistrano, Moorpark, West Hollywood, Beverly Hills, San Dimas, Dana Point, Pleasant Hill, Seaside, Lawndale, Wildomar, Menlo Park, Adelanto, La Verne, Foster City, Laguna Hills, Saratoga, Goleta, Paso Robles, Banning, Los Gatos, Santa Paula, Walnut, San Pablo, Los Altos, Burlingame, San Carlos, Atascadero, Atwater, East Palo Alto, Suisun City, Monterey, Ridgecrest, Maywood, Eureka, Norco, Benicia, Windsor, Imperial Beach, Paradise, Desert Hot Springs, Belmont, Soledad, South Pasadena, Wasco, Lemon Grove, Twentynine Palms, Brawley, Corcoran, Coronado, Lemoore, Sanger, Reedley, Seal Beach, Hercules, Lafayette, Cudahy, Galt, San Fernando, El Cerrito, Loma Linda, Selma, Calabasas, Laguna Beach, Riverbank, Barstow, Port Hueneme, Millbrae, Dinuba, South Lake Tahoe, Duarte, Blythe, Yucca Valley, Oakdale, Patterson, Agoura Hills, Lomita, La Cañada Flintridge, South El Monte, Marina, Hermosa Beach, American Canyon, Arvin, Chowchilla, Albany, Pinole, Dixon, Lathrop, Susanville, Orinda, Arroyo Grande, Arcata, Rancho Mirage, Shafter, El Segundo, Artesia, Greenfield, Santa Fe Springs, Laguna Woods, Truckee, Ukiah, Moraga, La Palma, Oroville, Avenal, Clearlake, Pacific Grove, Fillmore, Imperial, Parlier, Tehachapi, Ripon, Hawaiian Gardens, California City, Red Bluff, Mill Valley, Kerman, Palos Verdes Estates, Coalinga, Auburn, Grover Beach, San Marino, Livingston, Carpinteria, King City, Solana Beach, Grass Valley, Commerce, McFarland, Malibu, San Anselmo, Marysville, Grand Terrace, Fortuna, Larkspur, Lindsay, Scotts Valley, Los Alamitos, Kingsburg, Half Moon Bay, Healdsburg, Signal Hill, Mendota, Sierra Madre, Clayton, Hillsborough, Piedmont, Sonoma, Farmersville, Canyon Lake, Placerville, Exeter, Morro Bay, Newman, Shasta Lake, Emeryville, Anderson, Capitola, Taft, Corte Madera, Orange Cove, Tiburon, Cloverdale, Waterford, Live Oak, Westlake Village, Mammoth Lakes, Gonzales, Rolling Hills Estates, Los Altos Hills, Ione, Calimesa, Yreka, Calipatria, Corning, Pismo Beach, Crescent City, Firebaugh, Ojai, Fairfax, Sebastopol, Rio Vista, Orland, Woodlake, Fort Bragg, Cotati, Escalon, Guadalupe, Sausalito, Atherton, Huron, Hughson, Winters, Gridley, Loomis, Willows, Colusa, Holtville, St. Helena, Villa Park, Fowler, Gustine, La Habra Heights, Woodside, Solvang, Calistoga, Williams, Big Bear Lake, Indian Wells, Dos Palos, Sonora, Willits, Needles, Buellton, Lakeport, Jackson, Portola Valley, Brisbane, Del Mar, San Joaquin, Bishop, Angels Camp, Avalon, Carmel-by-the-Sea, Wheatland, Mount Shasta, Rio Dell, Monte Sereno, Nevada City, Weed, Yountville, Alturas, Sutter Creek, Ross, Westmorland, Portola, Belvedere, Colfax, San Juan Bautista, Rolling Hills, Hidden Hills, Colma, Biggs, Dunsmuir, Del Rey Oaks, Montague, Irwindale, Ferndale, Blue Lake, Maricopa, Bradbury, Tulelake, Plymouth, Dorris, Fort Jones, Isleton, Loyalton, Etna, Point Arena, Tehama, Trinidad, Sand City, Industry, Amador City, Vernon and all of California. At Cash Time, our professional staff will treat you with courtesy, respect, and the very best in customer service. With our flexible cash loan programs, you can get the Title Loan or Personal Loan that best fits your needs. Get started online, call us, schedule a visit, or stop by a Cash Time Loan Center today! 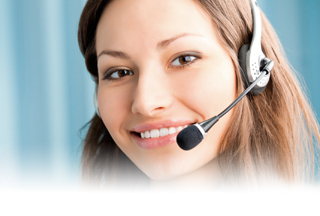 Cash Time Loan Centers has been providing cash loans in Arizona since 1997. We are locally owned and operated with headquarters in Scottsdale, Arizona. Cash Time is the industry leader for fast and easy Cash Loans specializing in both Auto Title Loans and Personal Loans Arizona residents count on. All of our loans are secured by your motor vehicle, even if you’re still paying for it.